Us in the Openside team are proud to announce that we’re now part of the Zapier Family, officially. We’ve been invited to the exclusive group of automation and business process professionals known as “Zapier Certified Experts.” This group is reserved for people who have shown their value in helping companies implement and use the Zapier framework across several projects and over a period of time. Of course we accepted the invite, and are excited to be included in such a great group. We’ve done extensive work and helped multiple businesses to build and improve their workflows using Zapier’s versatile framework for integrations combined with our custom connectors. 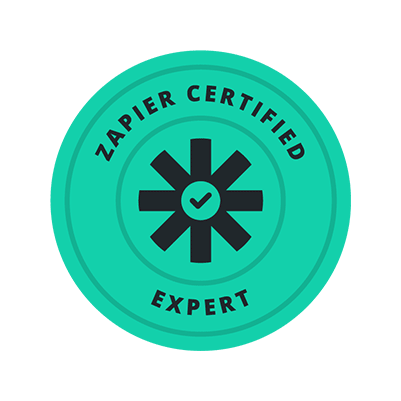 As a Zapier Certified Expert we plan to continue helping businesses for years to come. Here’s to making the world a happier place! To learn more about our custom offerings with Zapier, check out this page. Here’s an example of one company we used our Zapier expertise to help.